Task: to create in-car radios. 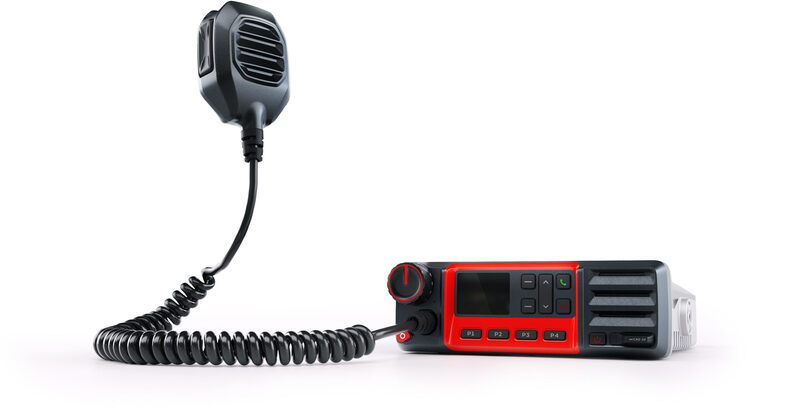 Sozvezdie produces all kinds of communication equipment for extreme conditions. Design for a range of digital radios, including in-car radios for truckers, emergency response workers and paramedics was created at the studio. The radio is installed on top of the dashboard or in the special slot, just like a regular car audio system. The radio has only the most necessary buttons on the front panel: receiving on/off buttons, menu scroller and confirmation button and four preset frequency buttons. All buttons and switches are arranged in a way that allows to press them without taking eyes off the road. 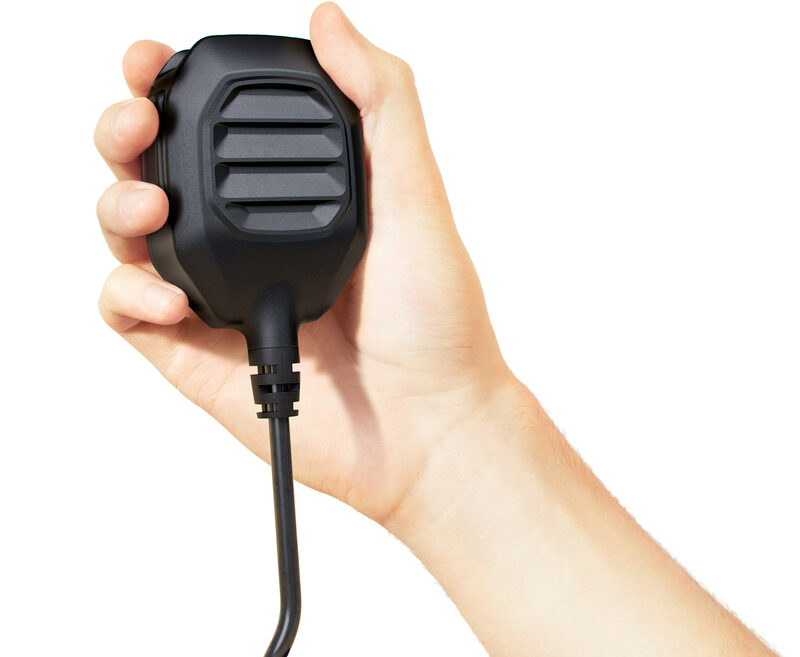 The microphone is comfortable to hold and can be attached to the holder when not needed. 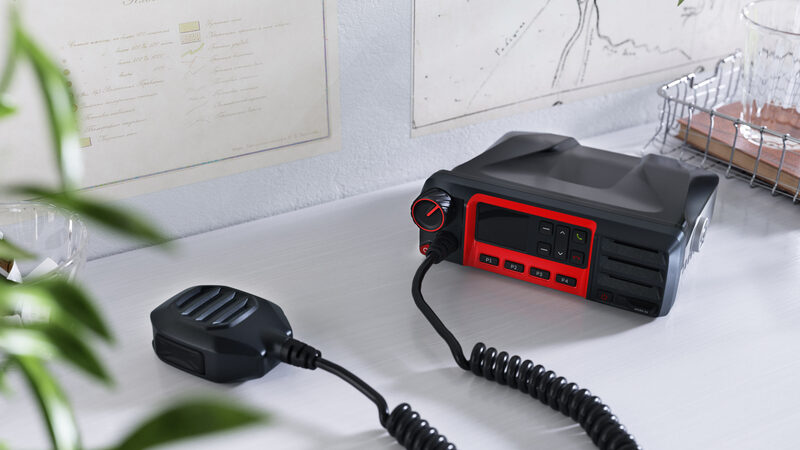 The radio is executed in the signature strict red and black color scheme.